So it’s possible I got the code wrong – but I pulled the data, updated the scripts and in 77% of the votes – had only Scottish MP’s voted it would have gone the same way 4006 of 4907. Maybe we aren’t so different. It’s interesting that there are several very high-profile votes on the list. There are several things which will affect this analysis. The first is “pairing” – the practice of two MPs who know they will vote different ways on an issue both deciding together to not turn up and stay in their constituencies or do something else. This means that unless a vote is going to be close, many MPs simply don’t vote. I suspect Scottish MPs, due to the distances involved, pair a lot. Scotland is predominantly Labour and Lib Dem. If there was a parliament where a government was in power with the support of one of those two parties and with a majority less than the number of Scottish MPs of that party, then there would have been a lot of votes going the other way – in fact, an entirely different government. Looking back to 1997, the only time this was true is with the current coalition – which, if Scottish MPs were not present, would be a majority Conservative government. Scottish MPs are less likely to rebel. Why rebel against something that has absolutely no bearing on your constituents? The West Lothian Question makes a mockery of democracy. It’s OK, it seems likely we’ll fix the West Lothian problem whichever way the referendum goes! Maybe its what Cameron wanted all along, he wins either way. People…be careful what you wish for! The other question is “how frequently would the rUK have had a different government?” I think there are three general elections (1950, ’66, and ’74) that Labour won narrowly, that would have gone to the Conservatives. Two of those Labour governments didn’t last long, though. The SNP already abstain from voting on English, Welsh, and Northern Ireland matters. So there is a difference between the (legitimate and interesting) data presented here and the full potential effect of the West Lothian Question. 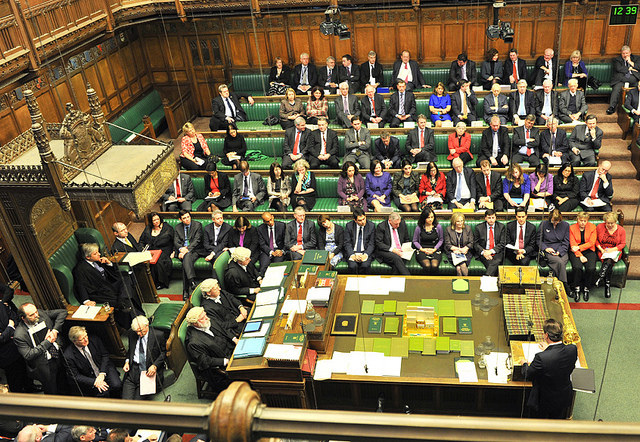 The parliament in Westminster is supposed to be for the whole of the UK, comparable to a federal government. Legislation should be general, and not involved in specific decisions concerning cities/states/counties. Devolution is the process of allowing the regions to make their own decisions based on local democracy. However, politicians want centralised control of everything so that they can be re-elected. Mrs T allowed some devolution but only to those who could be bribed or coerced to do her will; not much has changed since then. * Extend jury service to appoint members of parliament by lottery. * Limit an MP’s tenure to two 5-year terms. * Severely restrict party patronage – but how?